The NHTSA gives the 86 four stars in forward crash protection, and five in rollover; no overall score because those are the only two tests they’ve done so far. 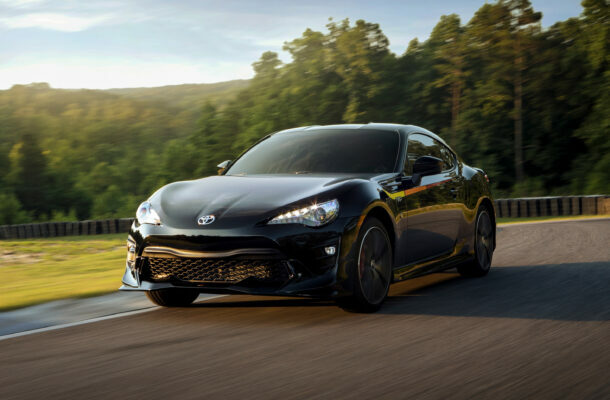 The IIHS gives the 86 an “Acceptable” rating in the small front overlap test, with “Good” scores in other categories. No active safety equipment is available, but there is a standard rear-view camera, and also standard hill-start assist for cars with a clutch; the convenient hill-start-assist, invented by Subaru, automatically applies the brake to keep the car from rolling backwards when you’re pulling away from a stop on a hill.